The Wildcat Cross Country and Track & Field Club is an Official USATF Youth Cross Country and Track & Field team based in Naperville, Illinois. It includes runners from Naperville, Aurora, Oswego, Plainfield, and other local areas. 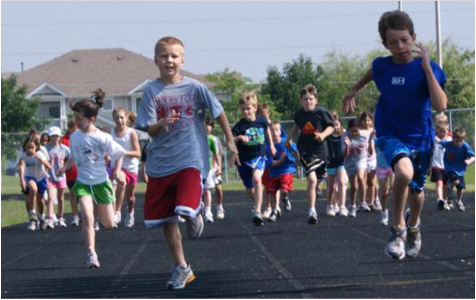 In 2004, coaches from Neuqua Valley High School and Scullen Middle School formed this club in order to help young runners develop healthy fitness habits and a lifelong love for running. Since then, our club has grown to include everything from national-caliber athletes to beginning runners. We work with each of our athletes, no matter how much talent or experience he or she possesses…to set challenging, meaningful goals and work towards improving. This camp changed my son’s life in so many ways. It has given him a confidence and self-assurance that he can accomplish great things and overcome obstacles. His coach, Mr. Kennedy, has encouraged and inspired my son. He is a wonderful coach who takes a real interest in the lives of his runners. We couldn’t have asked for a better coach or a better experience! My child was one of the younger campers, and I feel he was sincerely welcomed in the program. My husband and I have been impressed with the coaching and feedback from the coach. We are looking forward to another successful session. For the first time in 5 years, my son did not participate in football. He plays basketball (winter) for his school; and runs track (spring). This camp provided the perfect opportunity to keep his up physical strength and improve his overall endurance.